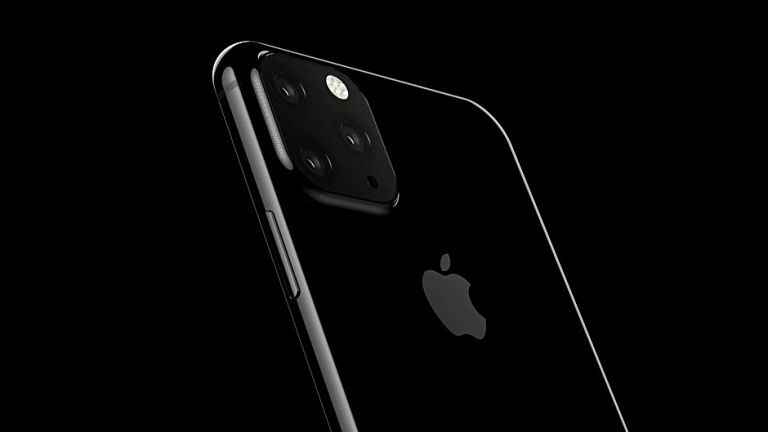 The follow-up to the iPhone XS and iPhone XS Max will add a third rear-mounted camera to the handset, the latest whispers suggest. The triple-camera will allow the iPhone XI or iPhone 11, or whatever Apple decides to brand the handset, to catch-up with a number of camera-laden, Android-powered rivals, including the Samsung Galaxy S10 Plus, Huawei P20 Pro, and Huawei Mate 20 Pro. Huawei P20 Pro and Huawei Mate 20 Pro boast 3x lossless optical zoom, beyond the 2x optical achieved by the iPhone XS and XS Max. Meanwhile, the triple-camera on the Samsung Galaxy S10 range includes an ultra-wide angle camera, which can squeeze more into each photograph. Sources speaking to Japanese blog Macotakara, which has a solid track record when it comes to forecasting future Apple announcements, claim the next high-end iPhone models will have a triple-lens system. This reiterates earlier rumours that surfaced back in January, which suggested the triple-camera will be in a square arrangement, with the fourth corner of the shape occupied by the LED flash. Huawei has employed this design with its Mate 20 Pro flagship from last year. Apple iPhone XS and iPhone XS Max stack their cameras vertically, so the new industrial design could be a fairly dramatic departure. Expect the triple-camera to result in improved Portrait Mode images with better edge detection around the subject of the shot. Other sources have pointed to better Live Photos, extended to six-seconds rather than the current three. However, it's unclear whether the new set-up will have an ultra-wide lens, like the one seen on the Galaxy S10 and Galaxy S10 Plus – or whether Apple will work to improve optical zoom, like the latest handsets from Huawei. We expect to see the new handsets unveiled on-stage to the dulcet tones of Sir Jony Ive in early September, provided that Apple sticks with its typical launch schedule. Before that, we expect to see iOS 13 – the mobile operating system that will power the iPhone 11 hardware – unveiled at the World Wide Developer Conference, which will be held June 3 - 7, 2019.